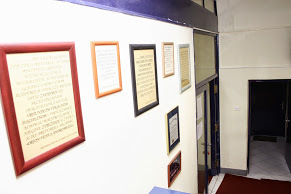 The most recent activity of the Youth Music Centre involves the founding of the Children’s Opera Ensemble. The ensemble gathers around 20 primary school pupils (1st-5th grade) with the purpose of preparing the members for opera performances in the role of children’s chorus. So far the ensemble has given a performance at a concert titled “A Day with the Zvjezdice”, held on 6 June in the Croatian Radiotelevision (HTV) studio “Angel Miladinov“; it also participated in the War Requiem by Benjamin Britten in the Lisinski Concert Hall on 28 September 2013, in Carmina Burana by C. Orff and in E. Humperdinck’s opera: Hansel and Gretel, as well as in “The Shoemaker from Delft” by B. Bersa. The so called “Ex Zvjezdice” gather former members of the “Zvjezdice” Choral Studio who, joined by their deep love of music, have continued to appear and perform together in various music projects upon leaving the original Choir. Some of their most prominent appearances include the repeat performances of Pergolesi’s Stabat Mater alongside the Croatian Chamber Orchestra, The Croatian Baroque Ensemble, as well as their performances at anniversary celebrations and gala concerts of the Choir, a performance of “The Queen Symphony” alongside The Croatian Army Orchestra, and numerous TV appearances alike. Their great love of folklore singing and cooperation with the Croatian Radiotelevision Tamburitza Orchestra yielded a CD release of Croatian folk songs titled “Oj tičice Vijoglavka” (2010). 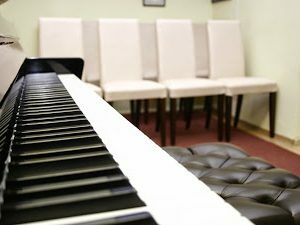 Youth Music Institute is an association devoted to promoting choral singing, organizing concerts and developing artistic creation with children and youth. 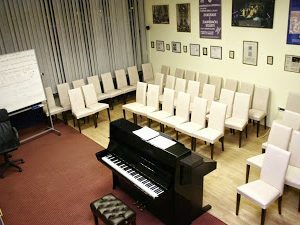 Its key element is the activity of the “Zvjezdice” Choral Studio.